Over the next few months I’ll be using my blog to keep a bit of a diary to record what is happening with me, as I make some big changes to my life and move in a somewhat new direction. 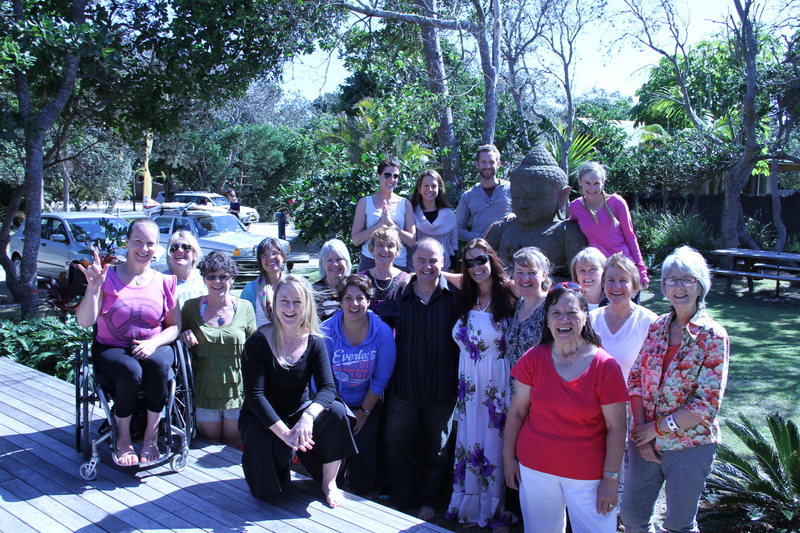 Over the past decade I’ve met thousands of people through my work at Hippocrates Health Centre, and then through my own naturopathy business and running the Embracing Health Retreats. I have developed a beautiful personal relationship and friendship with many hundreds of people, and I am very grateful to have touched so many lives through my work, and to have so many people in my life that I have a great connection with. It is difficult to keep in touch with everyone, which is why I’m writing a bit more of a personal blog this year, so that those whom are interested can keep in touch. There may also be value for some in what I write, as I know many of you have suffered with issues of fatigue and many have also experienced emotional wounds and traumas that have affected you, as they have me. Possibly you may be able to relate to the journey I’m going on now, and understand the need for changes as I move into the next phase of my life. To just go over a little history – it was in 1999 that I had a Tae-Kwon-Do accident and badly broke my leg. I needed an operation to insert a rod from my knee to my hip inside the femur, which was then attached by large internal screws through my knee and the top of my leg. The result of that operation was an almost total shut-down of my adrenal and thyroid glands, which took a couple of years to uncover, during which time I suffered horrendous chronic fatigue as well as many other associated health issues. It was this accident and subsequent health disorders that led me on the search to learn everything I could about adrenal fatigue and hypothyroidism, leading me to become one of the foremost naturopathic experts on these subjects in Australia. After getting a good diagnosis and the support I needed to recover my wellbeing, I went on to enjoy many years of excellent health. I was 46-48kg, very fit and lean, had boundless energy and was at what I considered to be the peak of health. Even my divorce in 2006 which completely shattered me, (even though I instigated it), didn’t badly affect my physical health, although I did go through a devastating time emotionally. However, three and a half years ago I had a major relapse. I was in a very difficult and destructive relationship, and although this relationship provided me with some of the most important and profound lessons of my life, the damage it did was quite profound. At the height of the drama, my adrenals and thyroid pretty much shut-down again. I spent four weeks practically bed-ridden, and gained 15kg within that short time. The fatigue and depression were quite severe and although I slowly recovered to a certain extent, I have never fully regained my health since that time. Below is a pic of a very healthy me with David Wolfe, a couple of months before that relapse. That relationship ended six months after the relapse, and over that first year of being single, I slowly started gaining my health back. Likely not many people outside of my immediate circle knew how difficult it was for me, as I still appeared quite ‘normal’, running my retreats and getting on with life as best as I could. During that time I was struggling with fatigue, had trouble exercising because I was so tired, I had no ability to cope with any type of stress, and no matter what I did, my weight wouldn’t budge. However, being a naturopath who specialised in these issues, I knew what I needed to do to get well. Except!!! I avoided doing the one thing that I really needed the most, which was to rest and recover. Instead of allowing myself to ‘collapse’ after this incredibly stressful time, I did the opposite. Being newly single, I had to be financially responsible for myself, and with my business growing rapidly, I became a workaholic. I love my work, so I don’t see any of it as a chore, and I get very excited about new projects and what I can create, but the side-effect of that passion is that I got caught in a cycle that didn’t support me in regaining my health. Then, two years ago I entered into a new relationship (we just got married!) and although logically I knew it was completely different from my last one, and was a truly healthy and wonderful relationship, it triggered in me a survival instinct – intimate relationship for me on a physical and subconscious level equalled danger – so I went into an almost permanent state of fight or flight. It was an incredibly difficult time, and it took over a year to be able to integrate what my conscious and logical mind knew – that I was safe – and for my body to understand and accept that. Anyone who has worked with trauma or complex-post-traumatic-stress syndrome will understand that base instinct to survive, which can override all logical thought processes. I worked with some truly amazing people to heal and overcome that state, one being my endlessly patient and tolerant husband. The toll it took on my nervous system though, has left me with a sensitivity to stress. And I no longer want to be that person. I tend to overreact to small things, I can get upset over things that should be water off a ducks back, and my anxiety levels are consistently high. My health is quite good, although my weight has not shifted from the gain I made three years ago, and if I push myself too hard, then I do have what I call “fatigue days”. So all in all I’m not in the place that I want to be health-wise and I know that I am not experiencing the peak of health that I know is possible. I gave myself last year to see if I could regain that peak, and I did restructure my business somewhat and passed a lot of work onto Rhianna Smith who has become my right hand in Embracing Health, and also to my Mum, Trish Wheeler who does a lot of the administration work. But with taking on the David Wolfe Tour, which was HUGE, and trying to write a book, I ended up being busier than ever. So I wasn’t able to achieve what I wanted to with my health in 2013. So this year I’ve made a pact to make the changes that absolutely have to be made for me to get well. 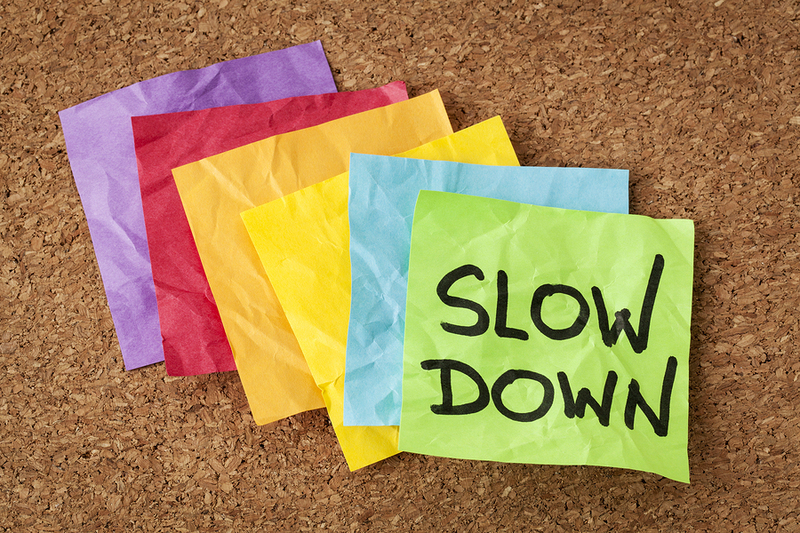 And that is to slow down, to rest, to get out of ‘fight or flight’ and get into ‘rest and digest’ way more often. I looked back at the periods of time when I did experience amazing health, and the thing that those periods of time had in common, was that I spent a lot of that time in a relaxed state. Whether I was massaging for many hours a day (for me that was a form of meditation), riding my horses a lot, or in a job where I didn’t take work home and could relax and recharge of a weekend – none of those things are in my life now, so there has been a big imbalance. And for healing to occur, we need to be in that phase of ‘rest and digest’ or what I call ‘repair, restore and rejuvenate’. Without being in that state, as I am living proof of, we cannot heal properly. No matter what food, herbs, supplements, exercise, water, sunshine, or emotional work is done, without that down-time to heal the body, nothing else will truly work. And this is my challenge. The one thing that I most need to do, is the one thing that I resist the most. It has been a huge emotional test to get to the place where I step away from a lot of my work and business, and allow myself some time and space. I am still not comfortable with this, which is a whole topic of exploration in itself, but I have made the steps for this to commence. I am blessed to have Rhianna and Trish who have been working with me for a couple of years and training in all aspects of Embracing Health, to take over for me and let me take the time I need to gently work on my book, and work on my health. As I transition into this new phase of life, I am not exactly sure what it is going to look like. I am sure there are many things that are going to come up and challenge this new way of living and being. And I look forward to learning those lessons, healing the issues that arise, and moving forward into a new state of balance. Of being stress-free, of having more emotional resilience and confidence, and creating a life that is designed with purpose and meaning, rather than living one that has been created out of false beliefs and built on a foundation of imbalance. I hope you can join me on this journey and see what happens as I create myself anew and let-go of ‘workaholic, anxious and stressed-out Leisa’ and move into ‘confident, relaxed, empowered and healthy Leisa’. Thanks for sharing your story Leisa, I have been following you for years since the Hippocrates days and having been a fellow faatigue sufferer I really get where your comgin from. I have always admired your ability to keep going and do everything that you do even with fatigue. So to hear you might be slowing down a bit is a good thing! I’m sure everyone who has met you would be happy to hear that you are taking a bit of a new direction, even if it means we miss out on you a bit! Will be reading your diary entries, thanks for writing. Awesome blog. Great to see you are getting your life back on track. I actually laughed out loud when I saw the pic of “Slow Down”….as that is exactly my resolution this year as well. But not to the same extent as yours. As my life is already pretty cruisy ! I just have to slow down in normal daily activities. Whenever I am doing anything, I tend to rush around thinking 2 steps ahead of myself and end up bashing my head, kicking my toe, or just generally injuring myself in some way. Which at that point, I sit down in agony telling myself to ….Slow Down !! Sounds like a lot of us have a similar journey of toxic relationships, breakups, work & fatigue. That is until you learn to look after yourself by knowing your boundaries and learning to say no to others and yourself. I’m hearin’ ya. Good luck Leisa. Kindness in all things.